So, you’ve had your house thoroughly cleaned by a professional house cleaning service. It sparkles, it smells great. Do you want to maintain the benefits of the cleaning for as long as possible? Of course! Here are a few tips to help you maintain the clean. 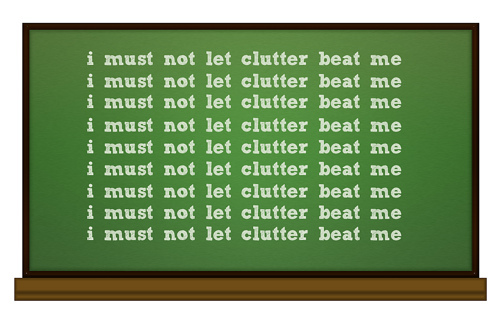 Repeat after me: “Clutter attracts dust bunnies.” After you’ve had your professional cleaning, resist the urge to let things pile up. An easy way to avoid clutter is to make clutter “homeless.” If you tend to use a corner table as a catch all, for example, try putting a plant there instead. Before going to bed, make sure the kitchen sink is clean. Put the dishes in the dishwasher, or better yet, wash and put them away before going to bed. Studies show people spend 685 hours a year – that’s 28.54 days! – cleaning their home. Perhaps the best way to prolong the benefits of your professional house cleaning service is to schedule more frequent cleanings. Most of our clients schedule weekly or bi-weekly cleanings and couldn’t be happier with the results. 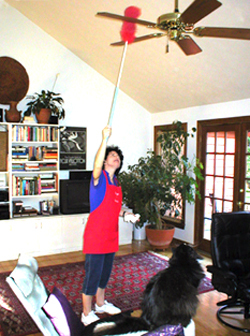 Great service for a busy family … I only wish we could clean our house as fast as they do, remarkable! Read the full review here. 20 years and still happy! I started with S&S when I realized I couldn’t keep up with my housework, a child, and full-time job. The team came weekly for years and now after the kids have gone, they come every other week. It’s been a great relationship and I trust them completely. Read our 60+ 5 star reviews here. In this week’s blog post, Gretchen Rubin of The Happiness Project provides a list of 10 myths that keep us from clearing out clutter. Identifying these myths might help you get rid of clutter once and for all. Want more tips? Try these articles from our blog archives. Looking for a fun Halloween event for the kids? From pony rides to building biodegradable tiny homes, there is a lot to do. Here are 5 interesting events around Atlanta. Goblins in the Atlanta Botanical Garden! Dress the kids in their Halloween costumes. The Atlanta Botanical Garden has a fun day of games, train rides, pony rides, activities and more. Suitable for all ages. Bring the kids to this 5K Costume Road Race & fun run and experience pumpkin painting, a corn hole game, and the Spooky Fun House. Register online for the costume contest. Fun Families, join our very faerie Miss Lady Bug and storyteller extraordinaire, Christy Foelsch of Kids Go Wild, in the enchanted forest of Woodlands Garden. Enjoy charmed fairy tales and create biodegradable tiny homes. Advance registration is required. Click here for more information. Help Spookley the Square Pumpkin and friends, as you wind your way through our fun filled maze. Suitable for ages 2-7.